Drawing upon more than 200 years of expertise in crafting premium cutlery for professional and home cooking, WÜSTHOF introduces its expertly crafted Kitchen Tools collections. This set brings all the needed and useful tools together in one complete package. With 5 expertly designed tools for a variety of tasks, this set will make sure you have the tools you need. 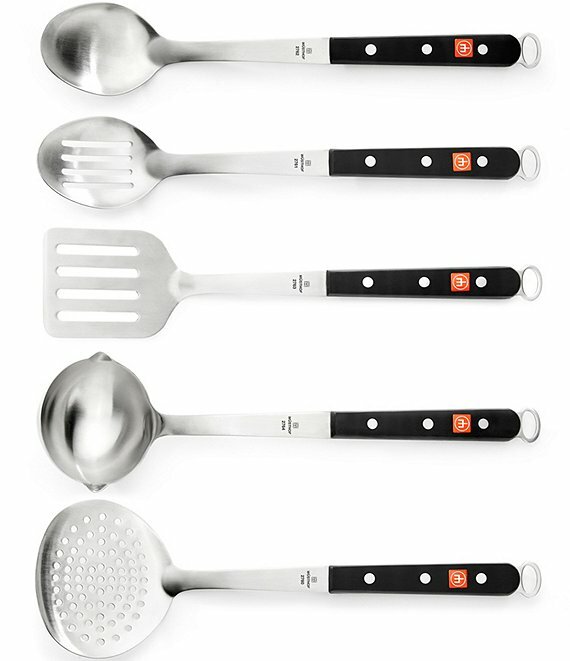 The set contains a 14" Skimmer, Slotted Spoon, Spoon, Slotted Spatula, and Ladle. The 14" handles are built for balance and comfort. This is a must have set for any kitchen.